The new line of quality OEM-style valley cover gaskets for GM LS engines from Mr. Gasket feature an aluminum backer with rubber-molded silicone for a great seal. The 11-bolt valley cover gasket was not included in the original release, but is now available! 61020G for GM LS1/LS6 engines with 10-bolt valley cover. 61021G for GM LS2/LS3/LS7/LSX engines with 11-bolt valley cover. Quality OEM-styling with aluminum backer and molded silicone rubber. Flowmaster’s Outlaw axle-back exhaust system for 2014–2017 Corvette Z06 coupes and convertibles (with 6.2L supercharged V8 and factory 2V Performance Exhaust NPP option) is perfect for the person looking for a powerful, aggressive sound in Track mode and a deep, moderate tone in Stealth mode. The 817763 kit includes Outlaw mufflers, four 4” polished stainless steel tips, and functional exhaust valves that work with the OE actuator motors to toggle between sound levels. Comes with all necessary parts, hardware, and installation instructions. 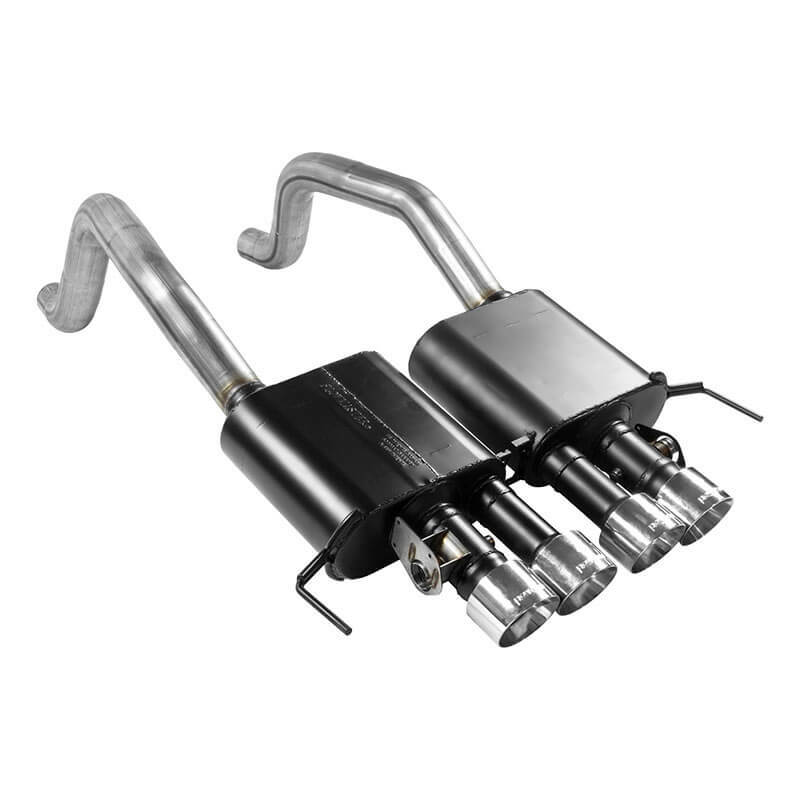 For 2014–2017 Corvette Z06 with 2V Performance Exhaust. Available in the famous ACCEL yellow, SuperCoils are the perfect addition to your late-model Chrysler, Dodge, or Jeep thanks to ACCEL’s advanced bobbin technology, specialized silicone magnetic steel cores, optimized windings, proper resistance, and engineered turn ratios, while specialized high-temperature epoxy resists shock and vibration and increases thermal conductivity. ACCEL SuperCoils are direct, high-performance replacements for OEM coils that bolt directly into factory locations and plug in to factory wiring for a seamless installation. For Chrysler, Dodge, and Jeep V6 applications. Silicone magnetic steel cores with optimized windings. High-temperature epoxy-filled housings resist shock, vibration, and chemicals. ODB-II compatible (will not trip an engine code). Fresh from ARP are two new head stud kits for BBC AFR 18-degree applications: one hex (135-4008) and one 12 point (135-4305). Manufactured with premium 8740 chrome-moly material, these kits are centerless ground, heat treated before thread rolling/machining, and nominally rated at 190K PSI tensile strength. 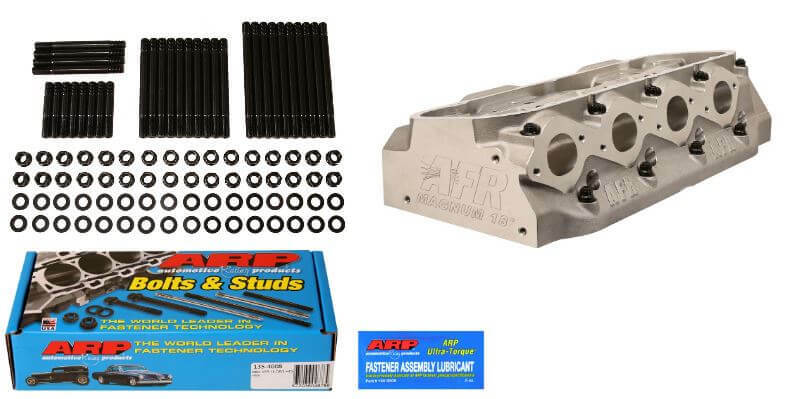 Included in every kit is a 0.5-ounce pack of ARP’s Ultra-Torque fastener assembly lubricant. Heat treated before thread rolling and machining. Rated at 190,000 PSI tensile strength. Includes a half-ounce pack of Ultra-Torque fastener assembly lubricant. Two kits available: 135-4008 (hex) and 135-4305 (12 pt.). 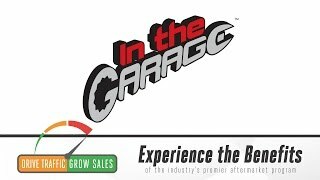 The In the Garage™ YouTube channel is designed to help you and your employees become aftermarket accessory experts—and to send informed consumers right to your door! Our videos detail the installation of some of today’s hottest products, including key features and benefits, and capture conversations with manufacturing giants in our industry. Every video also includes a link to our Dealer Locator, so viewers can find their closest Parts Pro™ location: YOU! Provides an enthusiast’s perspective on product installations. Connects viewers to their local aftermarket expert. Encourages questions, purchases, and installations. Communicates key product features, benefits, and installation techniques. 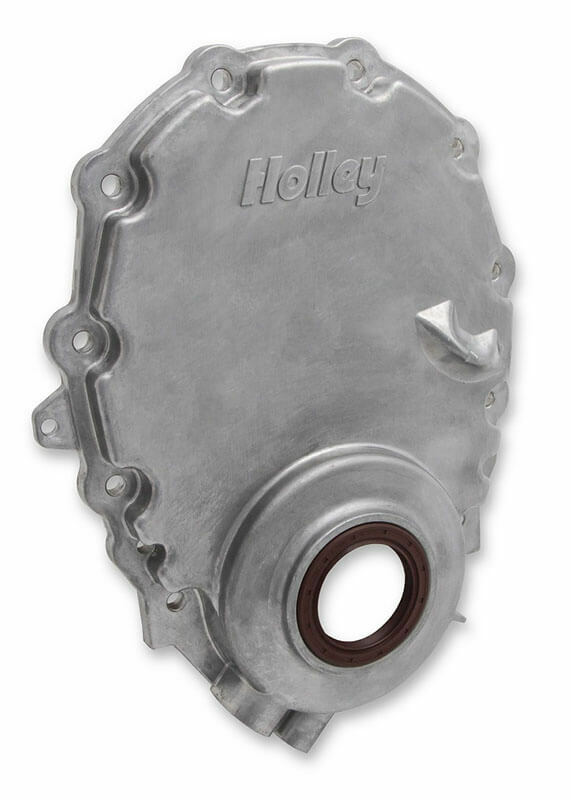 Holley’s cast-aluminum timing chain covers are a terrific upgrade to their plastic OEM counterparts on 1996+ Vortec small-block Chevy engines, offering superior durability and improved functionality. With timing indicators molded into the body, and available with or without a crank sensor provision, these covers accommodate both carbureted and EFI applications. They are available in two finishes—Natural Cast and Satin Black—and are packaged with a quality gasket and e-coated mounting hardware for added corrosion resistance. Upgrades plastic OEM timing chain covers on 1996-and-up Vortec SBC engines. Replaces GM part numbers 10244600, 12523972, 12523973, 12558343, 12562818, and 93800970. Available for EFI (with crank sensor provisions) and carbureted applications (without crank sensor provisions). Over-molded Viton oil seal virtually eliminates concerns of the seal spinning out at high temperatures (common with other aluminum timing covers). Timing indicator cast into the cover. Intended for use with 8” Vortec and other popular aftermarket balancers. 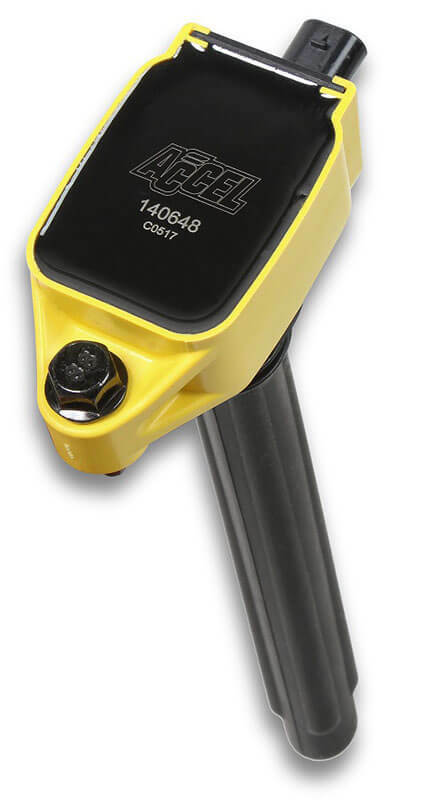 Accommodates both stock and aftermarket water pumps. Includes quality gasket; corrosion-resistant, e-coated hardware; and dowel pins. Offered in Natural Cast and Satin Black finishes. <p>Holley’s cast-aluminum timing chain covers are a terrific upgrade to their plastic OEM counterparts on 1996+ Vortec small-block Chevy engines, offering superior durability and improved functionality. 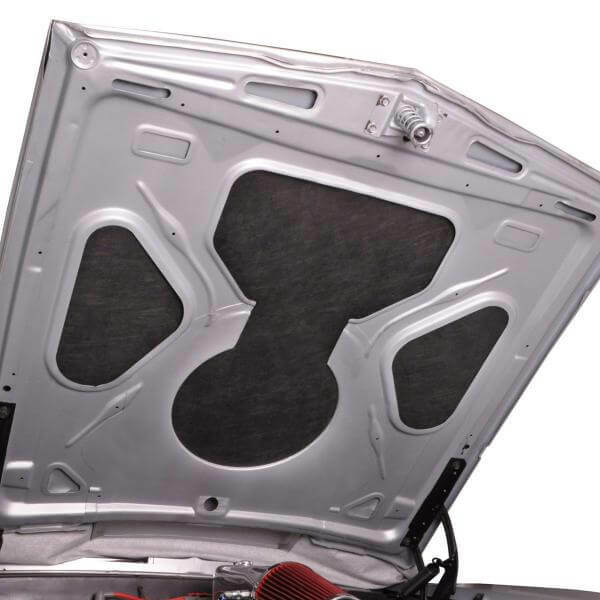 Designed to greatly reduce heat and noise in the engine compartment—especially in modern modified vehicles with high-performance components—the 050129 Under Hood Thermal Acoustic Lining from Design Engineering, Inc. is easy for anyone to install: just peel and stick! Cooler hood surface protects your paint. Reduced engine noise for quieter passenger compartment. 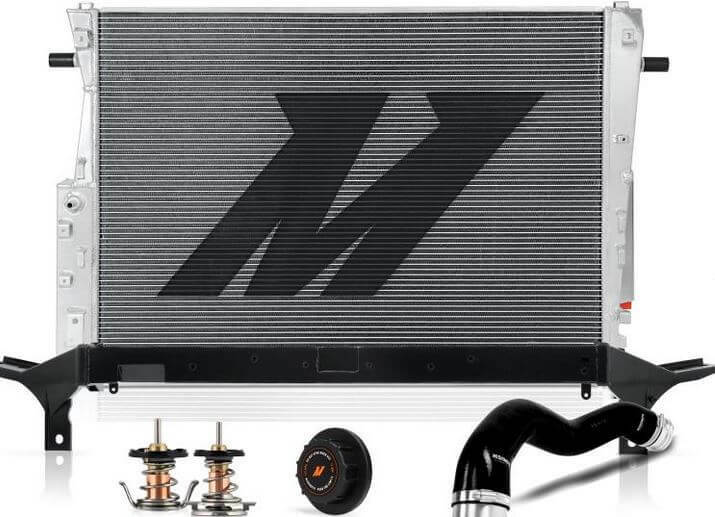 Say goodbye to leaking stock radiators and hoses, faulty thermostats and radiator caps, and weak upper support bars: the MMB-F2D-002 heavy-duty protection bundle from Mishimoto includes everything you need to make sure your cooling system is as tough as the rest of your Ford. In addition to Mishimoto’s fully aluminum performance radiator and sturdy steel upper support bar, this bundle includes high-temp and low-temp thermostats, a reservoir tank cap, and silicone coolant hoses. Mishimoto engineered and tested everything to be a direct fit with the 6.4L Power Stroke in your 2008–2010 Ford while providing greater durability and performance. Direct fit for 2008–2010 Ford 6.4L Power Stroke. Upper support bar minimizes front-end flex. Aluminum radiator incorporates internally strutted tubes in the top and bottom eight rows to better resist pressure and temperature. Coolant hoses are constructed from five layers of heat-resistant fibers and silicone and come preassembled with CNC-machined couplers. High-temp and low-temp thermostats let you tailor the cooling system for cold or hot environments. 1 bar (16 PSI) overflow reservoir cap raises the boiling point of engine coolant to provide a safer and more efficient cooling system. 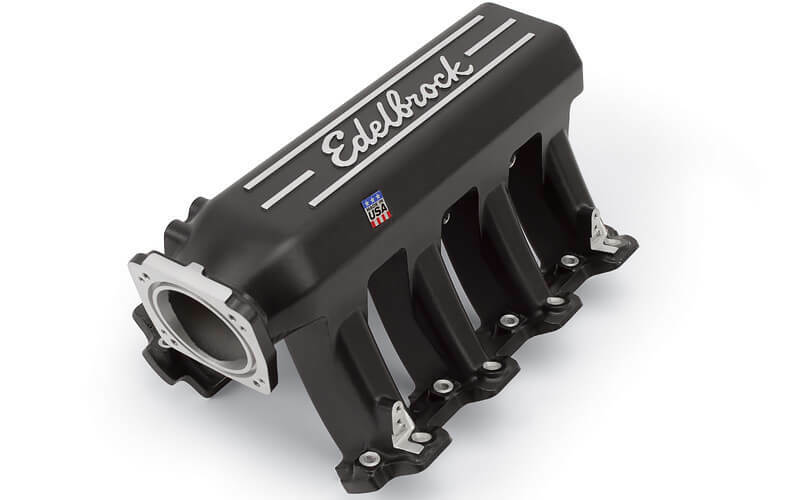 Available for LS1 (7139 – Satin; 71393 – Black), LS2 (7140 – Satin; 71403 – Black), and LS3 (7142 – Black), the new Pro-Flo XT intake manifolds from Edelbrock are engineered with a large plenum and tapered runners to deliver maximum horsepower and broad torque band throughout the rpm range (1,500–7,000 RPM). Fuel rail kits (3629 – LS; 3648 – LS3) sold separately. For Chevy LS1, LS2, and LS3 applications. Large plenum and tapered runners deliver maximum HP and broad torque. Fuel rail kits available (and sold separately). 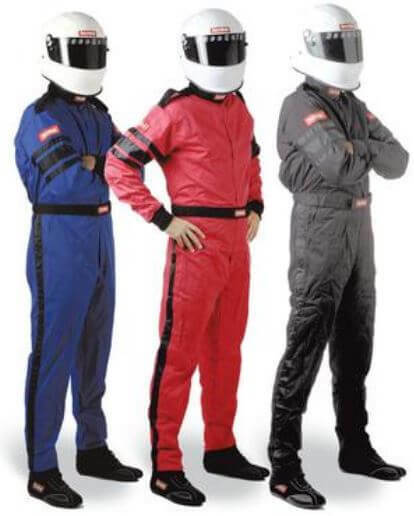 The RaceQuip 110 Series single-layer suit is made from Pyrovatex FRC material, which offers the maximum combination of overall flame and heat protection, durability, and comfort for the price. This FRC material retains the softness and breathability of cotton while also moving moisture away from your skin. Pyrovatex fabric is gentle and non-irritating—even to the most sensitive skin—and features a shiny and supple exterior finish. With proper care, SFI-1 garments will retain their flame-retardant properties beyond the useful life of the garment. Available as one-piece suits, jackets, and pants in sizes S–5XL in black, red, or blue. Available as one-piece suit, jacket, or pants. Black epaulets, belt, and high-back collar. Contrasting black arm and leg stripes. Black wrist and ankle cuffs. Two-piece adjustable belt on suits. Pleated back panel for enhanced articulation. Colors: black, red, and, blue.